Is William Hill Legal in my Country? 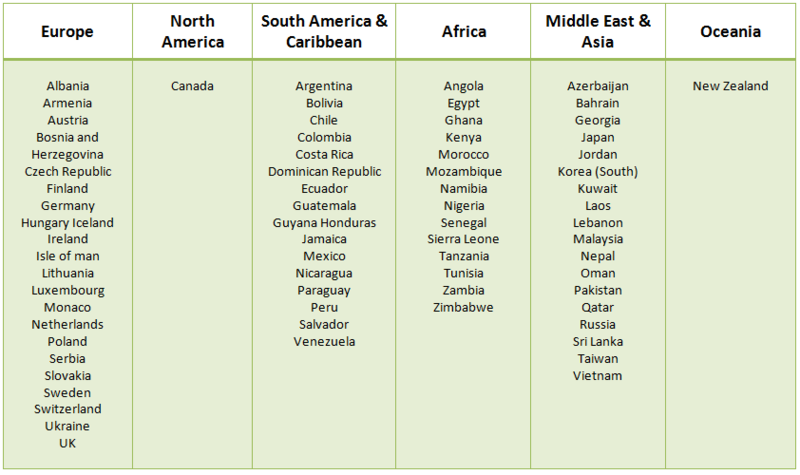 Pick your country of residence from the list: if the bookmaker is not legit in your location, you will be notified and won't be able to follow through. Where is William Hill legal? William Hill is one of UK's oldest and largest bookmaker, with over 2,000 betting shops in the country and betting licenses all over the world. In addition to the licence they hold in the UK, the bookmaker is licensed in several other countries, including Italy, Spain, Gibraltar, USA (Nevada and Delaware only) and Australia. As a result of these licences, William Hill is legit in over 70 countries. If you are a resident of any of the countries listed below, you can sign up legally on William Hill and get full access to their products. Don't forget that new members are eligible to a welcome bonus of Bet £10 Get £30 free bets on sports. 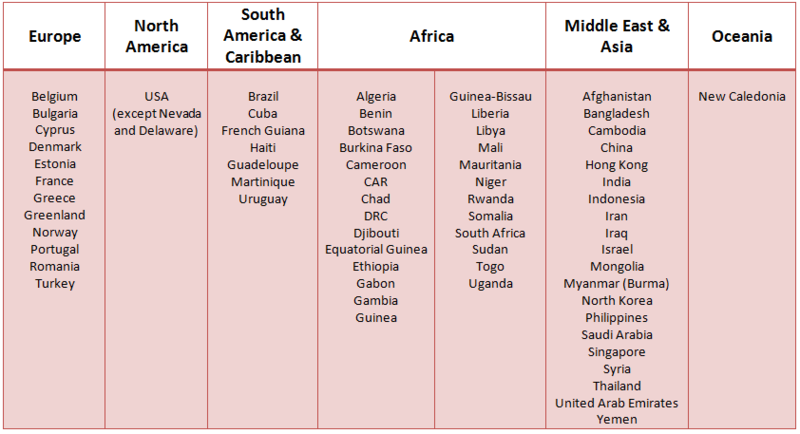 Note: As of April 2019, William Hill is legit in the countries listed above, however the online betting legislation is subject to change. The bookmaker is always updating locations. In several other countries, online betting regulation is less flexible and not all of the products offered by William Hill are legal. As a result, their residents can legally open an account with William Hill, but access to certain products or services might be restricted. Restriction on: Sports betting and Financial betting. Restriction on: Live Casino or live games in the downloadable casino software. Where is William Hill banned? 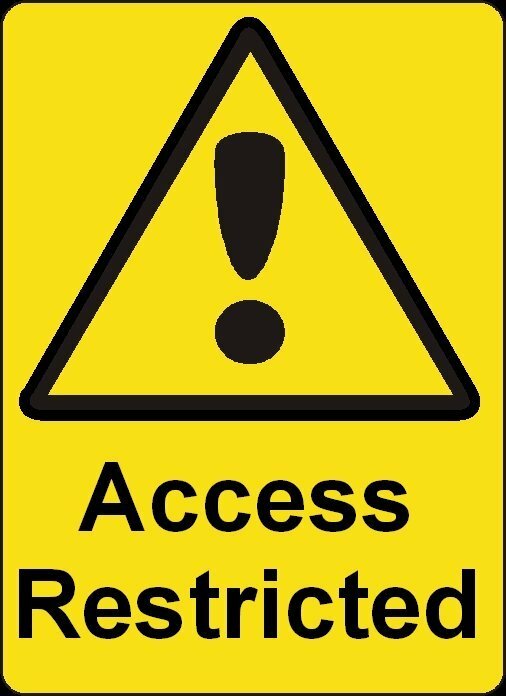 Due to their online betting regulations, over 60 countries prohibit access to the bookmaker's site. 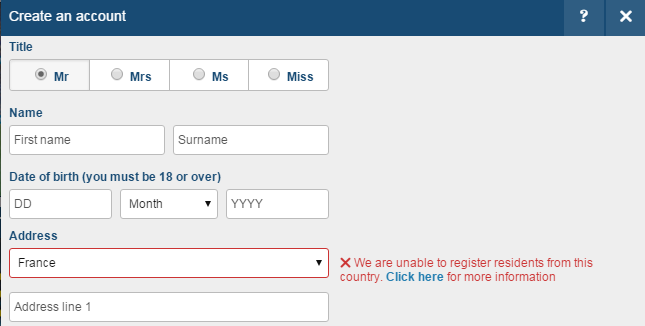 How to access William Hill from a banned country? If you really want to access William Hill from a banned country, we have heard that you can use a VPN Client/proxy. The VPN is a software allowing you to conceal your identity and spoof a certain geo-location. All you have to do is pick a country (where WH is legit) in the VPN interface, and it will modify your IP address, allowing you to access and register on William Hill. However, you will need a good friend living in the country to provide a passport and bank statement on your behalf, in order to verify your account. Truth be told, that's a lot of trouble when you know that there are so many bookmakers operating legally! We would only advocate signing up to legal services in your country of residence. Betminded » Online Betting guide » Is William Hill Legal in my Country?